Thanks to all teams that came to our 2018 Tournament! You will need to send a copy of the NJYSA roster and passes in pdf form. These come from the Stack Sports registration system that NJYSA uses. We do NOT get rosters from GotSoccer. Make sure you put the club and team name in the subject line of your email when you send them. Appproved permission to host is available on request. U8, U9 & U10 play 7v7 with build-out lines: U11 & U12 play 9v9: U13, U14 & U15 play 11v11. USYSA and US Club (2018/19) passes accepted. September 8th & 9th, 2018. Every team is scheduled to play two games on Saturday and two on Sunday. With anticipation of over 175 teams most age groups will have numerous flights, with different levels of teams. We work hard to put teams in appropriate flights by looking at your record. Please give us all relevant information. The Club does not mandate that teams stay overnight. 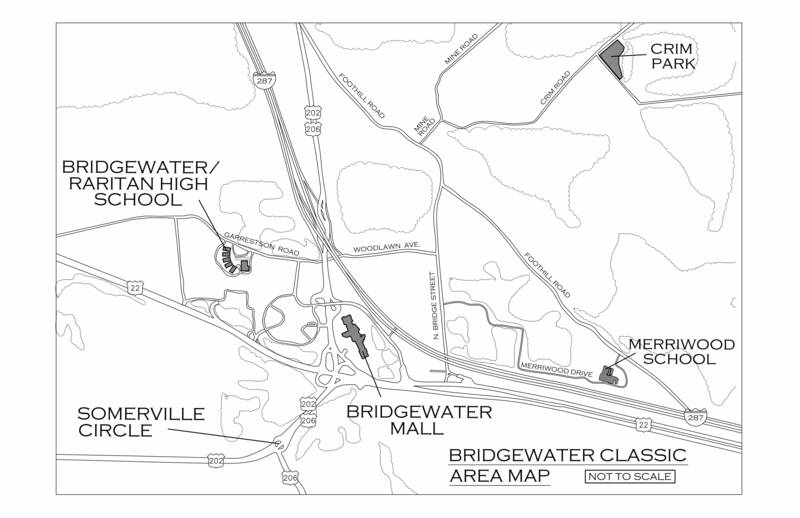 There are many hotels in the Bridgewater area for any teams that may wish to stay. Every site will have a full menu of all sorts of food including hamburgers, hot dogs, grilled chicken sandwich, French fries, pretzels and chicken nuggets. Drinks include Gatorade, water, soda and smoothies. Accepted teams will be notified by email. Please make sure your contacts in GotSoccer are up-to-date for the new season. We have three sites in Bridgewater, NJ. All sites are within 10 minutes of each other. Most teams will play all four games at the same site(see below).